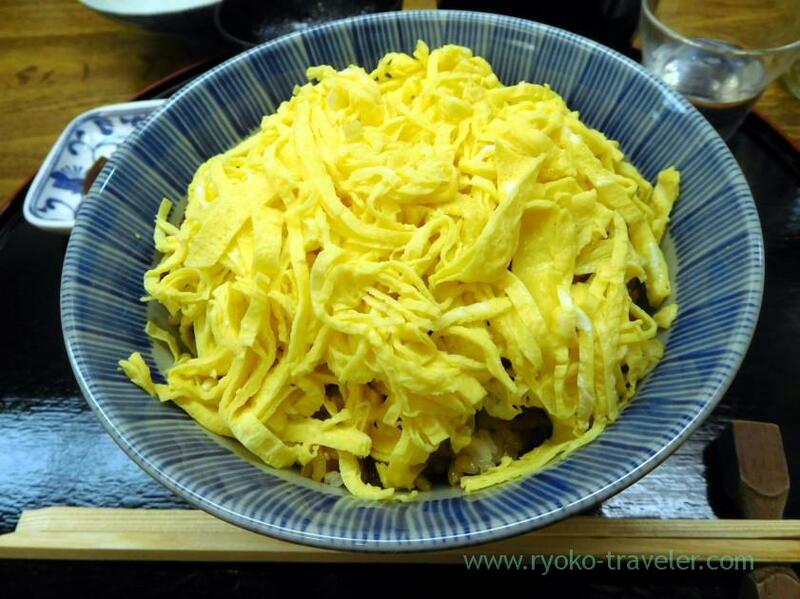 When I visited Kyoto in April, I had dinner at KANESHO in Gion-Shijo that is so popular as KINSHI BOWL. 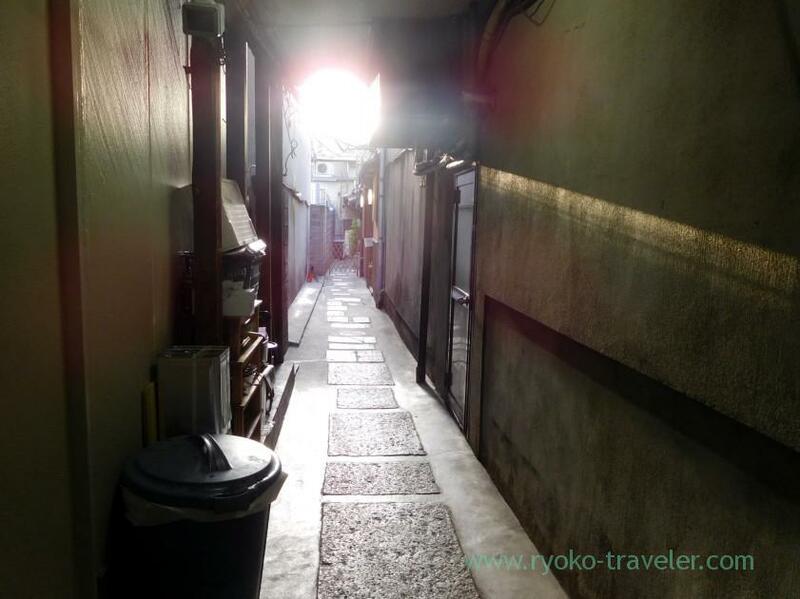 KANESHO is located at the back of street. So, it’s difficult to find. You would go through when you visit there for the first time. I did, too. 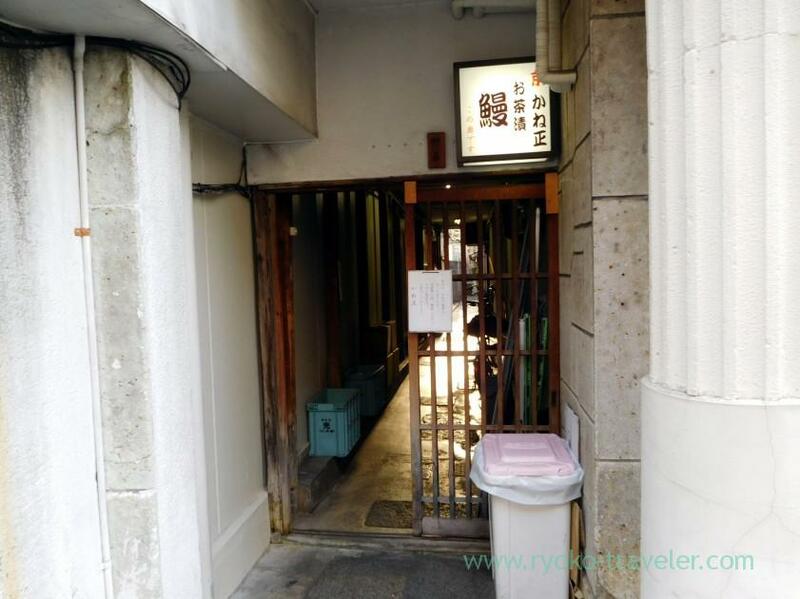 The entrance is between the post office and the small building. So, you’d better find the post office at first. 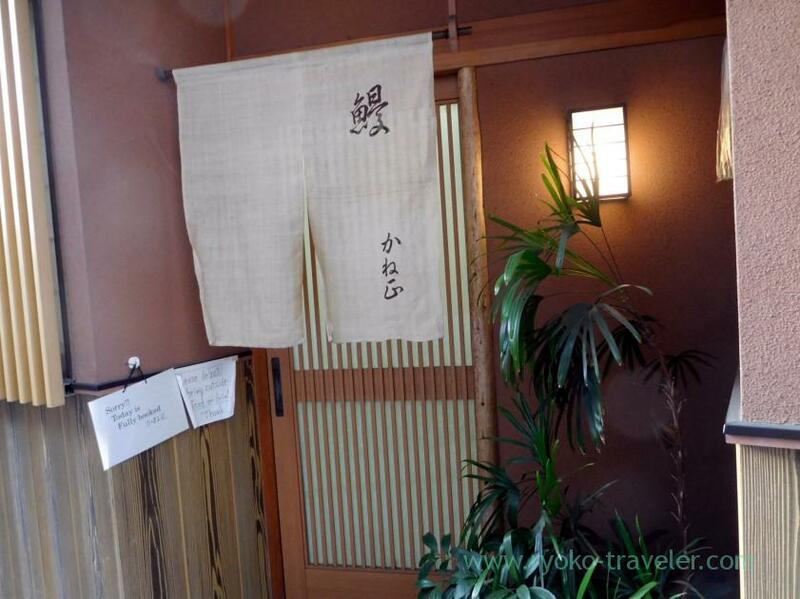 KANESHO was born in Gion as eels restaurant about 150 years ago. There’s 6 counter seats and 2 tables having 4 seats each.It’s small restaurant. 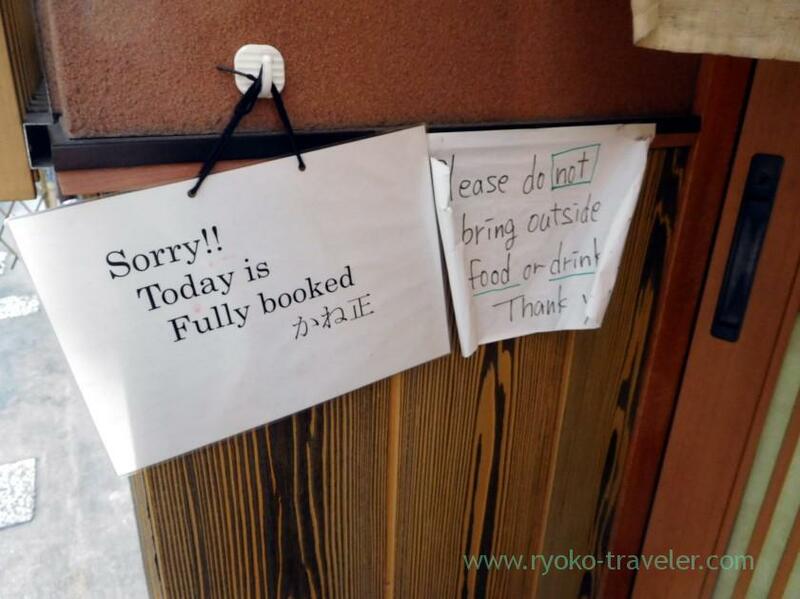 They don’t accept reservation for lunchtime and I heard that we have to wait for 1 or 2 hours or so. But they accept reservation for dinner time. And mostly seats are full with reservation at dinner time. So you should reserve if you visit there at dinner time. Over half of people in the restaurant when I visited there was from abroad. 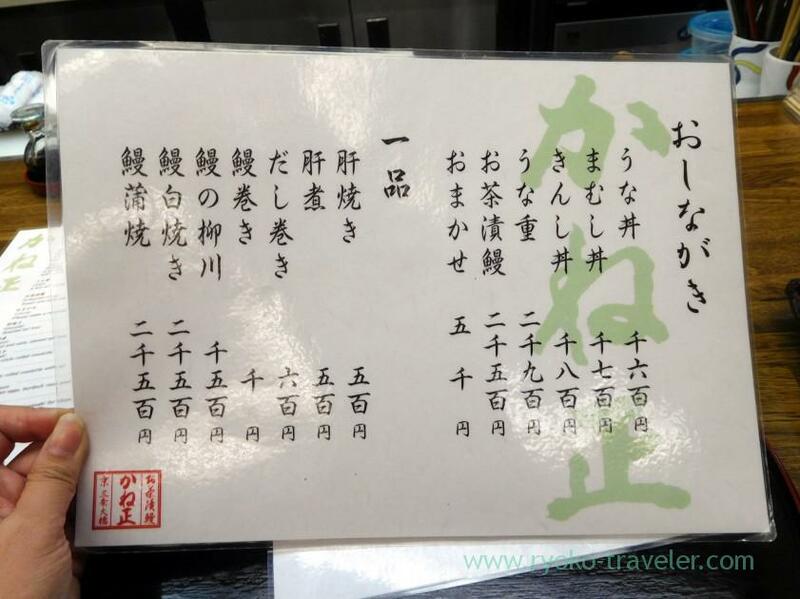 But they don’t accept reservation on phone except Japanese language. 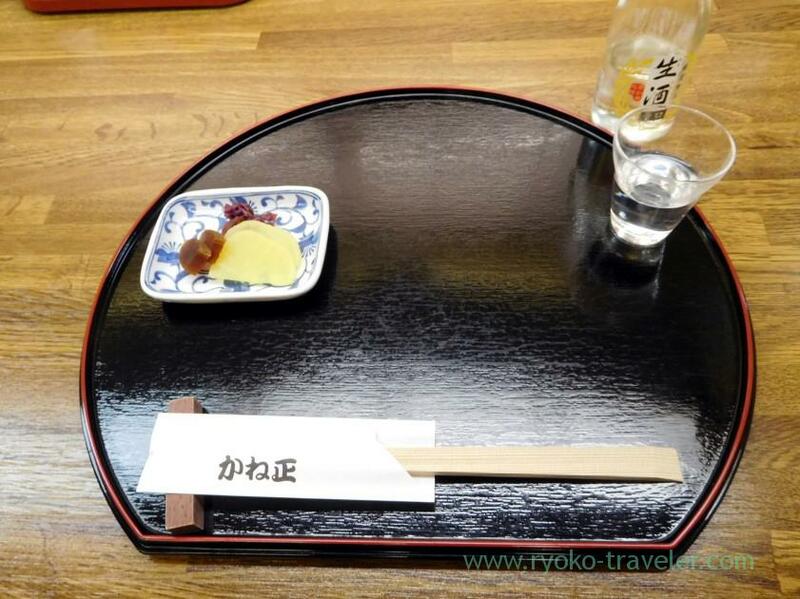 Fortunately I could reserve one seat just before leaving for Kyoto nevertheless during best cherry blossoms season. This is food menu. Eels only.Drinks menu, too. Don’t worry. 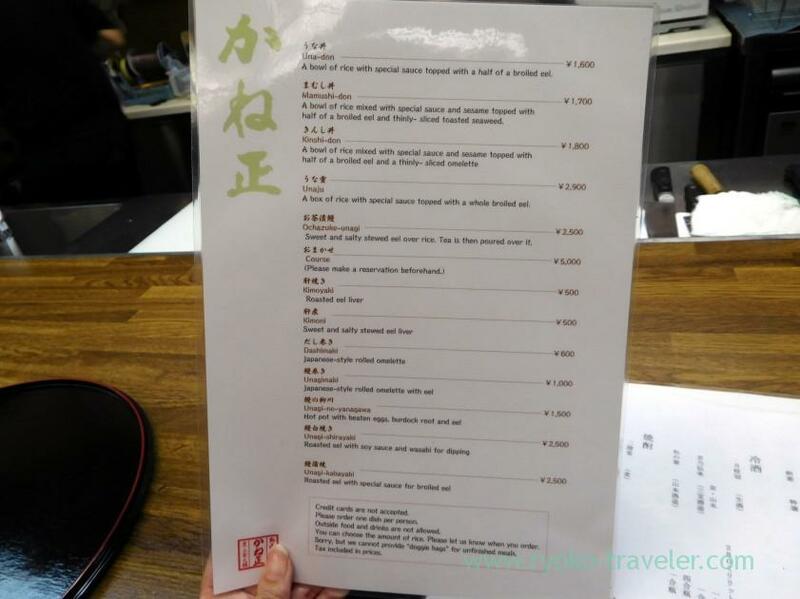 They prepare English and Chinese menu. Though it’s simple kitchen, it’s clean and tidy. The burning tool is at the left. As soon as they started to grill eels, smells of eels grilling attacked us. It took about 30 minutes to be served. What is Kinshi bowl ? 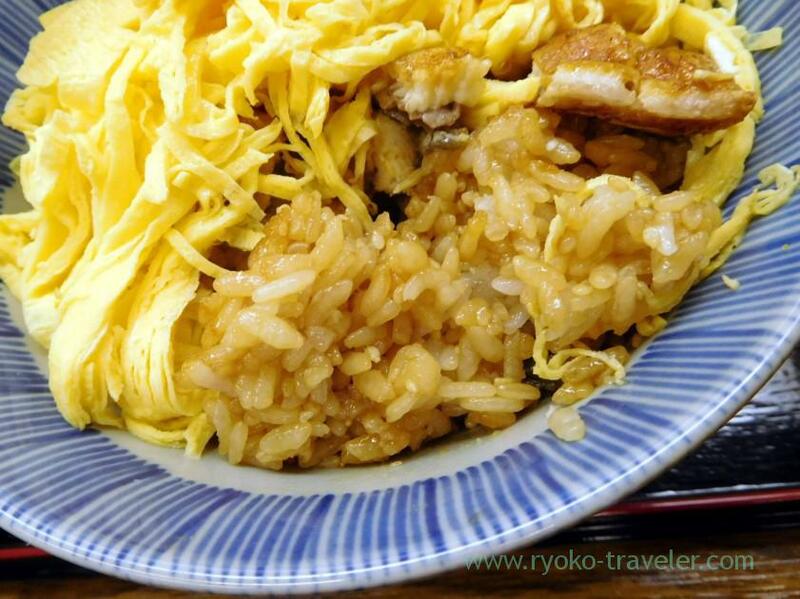 Grilled eels on the rice is covered with much kinshi. Kinshi was so soft ! 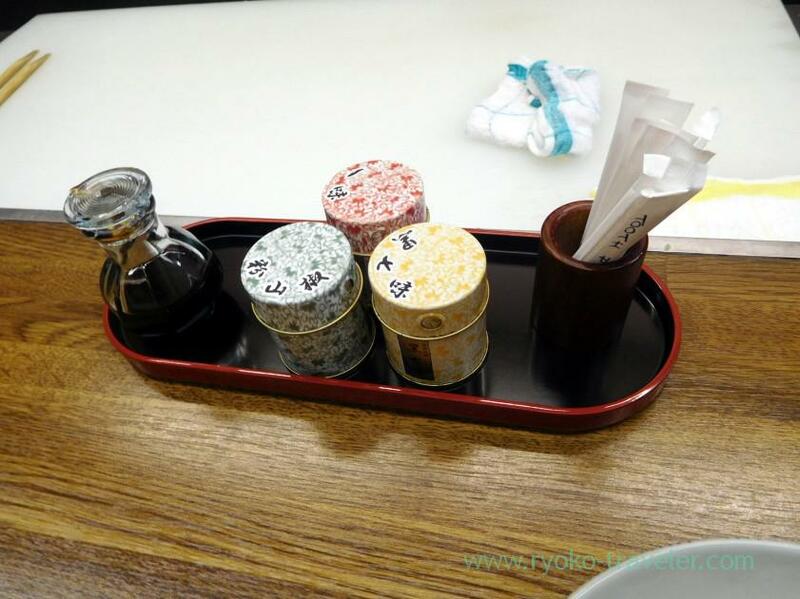 Because eels and rice are seasoned with soy sauce-based sauce, Kinshi is seasoned very lightly. Of course, it have enough eels ! 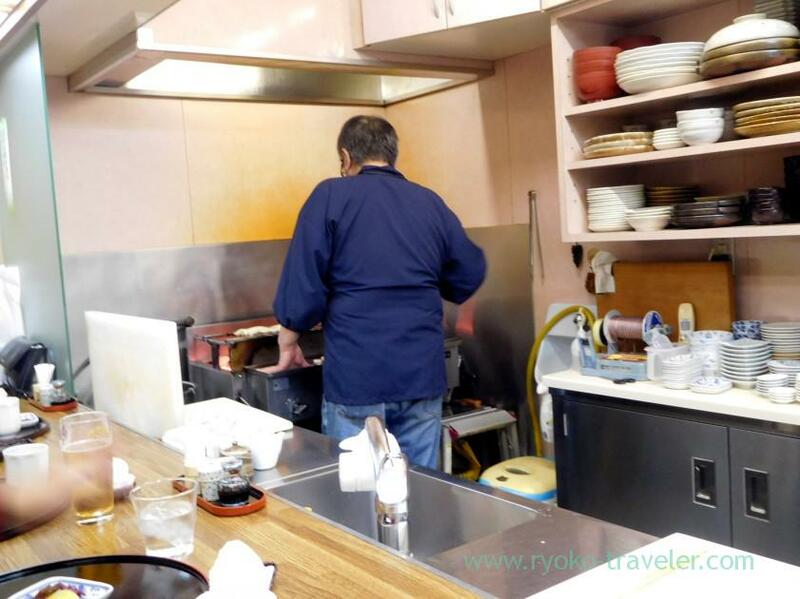 They cut domestic eels as Kanto-style and grill and don’t steam as Kansai-style. The eel was rather light and wasn’t so fatty. Ah, it’s effect of kinshi ? Rice was mixed with sauce in advance. So it was enough good just it. 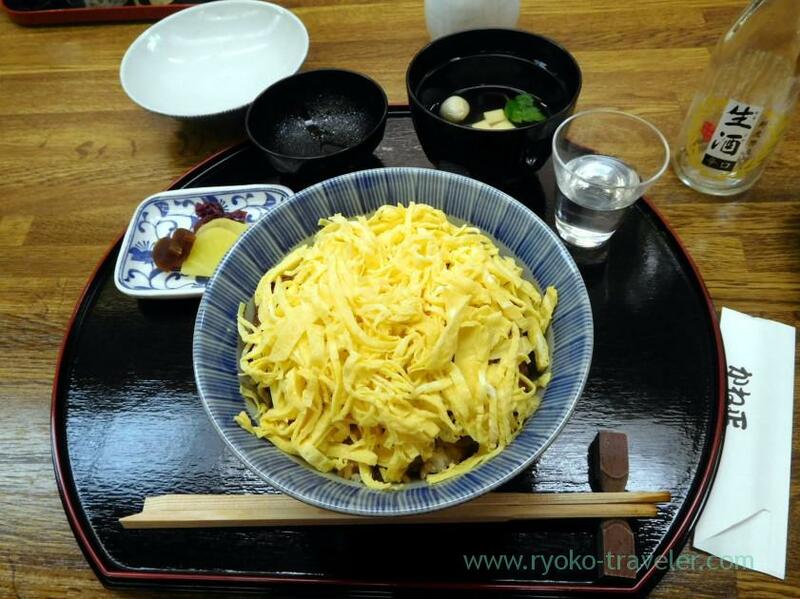 There’s Black Shichimi togarashi, Ichimi togarashi and sansho pepper on each table. So I enjoyed some tastes. Black Shichimi was good. But sancho pepper went with eel very well all the same. I recommend counter seats if you visit there. We can see the kitchen very well. 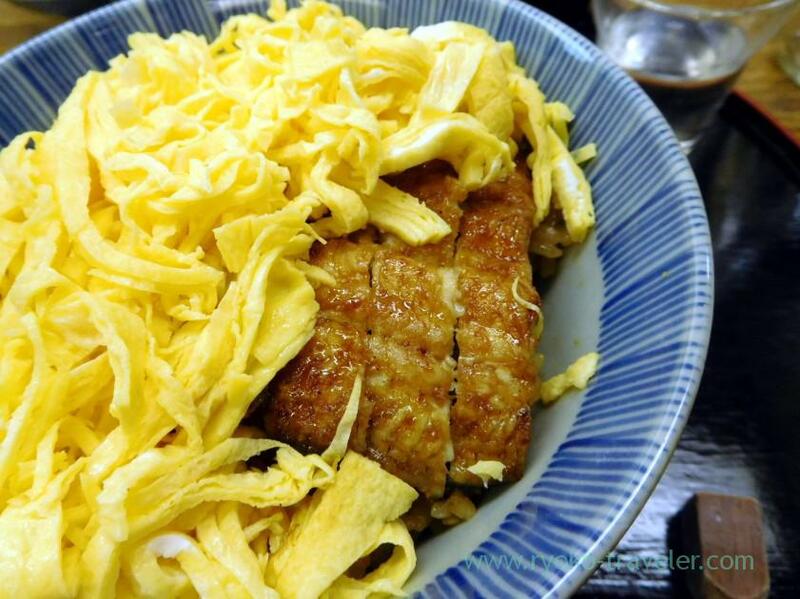 They grill eels, cut eggs, mix rice and sauce altogether…. in front of us. So, I wasn’t bored with waiting for 30 minutes. But people at the table seemed to get tired. 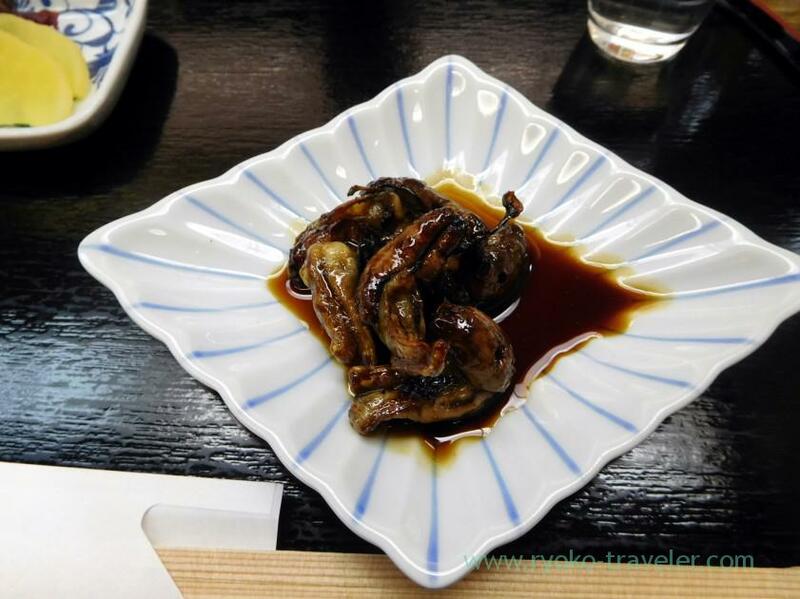 I ordered roasted eel liver (500 yen), too. I thought eels’ livers on the skrew would be served. 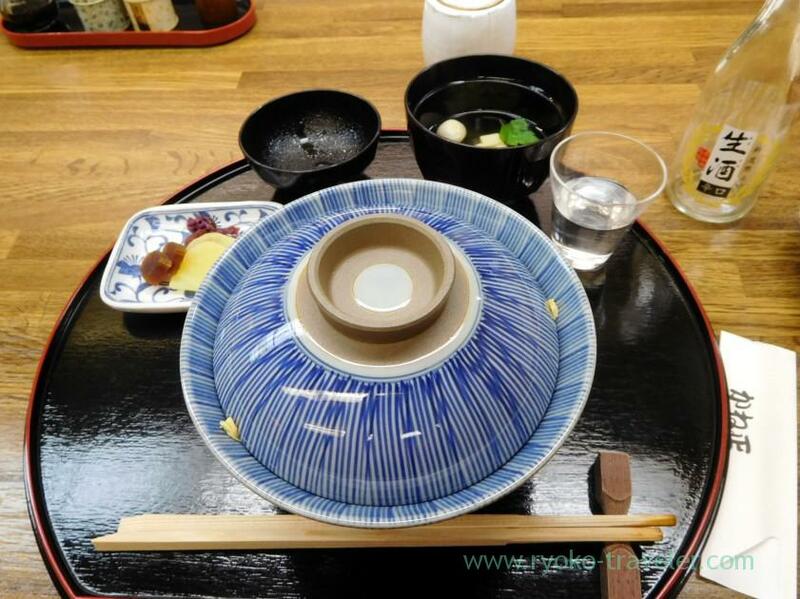 But eels’ livers were served on the small dish. Because it was fresh, it didn’t have bad smell and it had sprigy texture. Open / 11:30 a.m. – 2:00 p.m., 5:30 p.m. – 9:30 p.m.